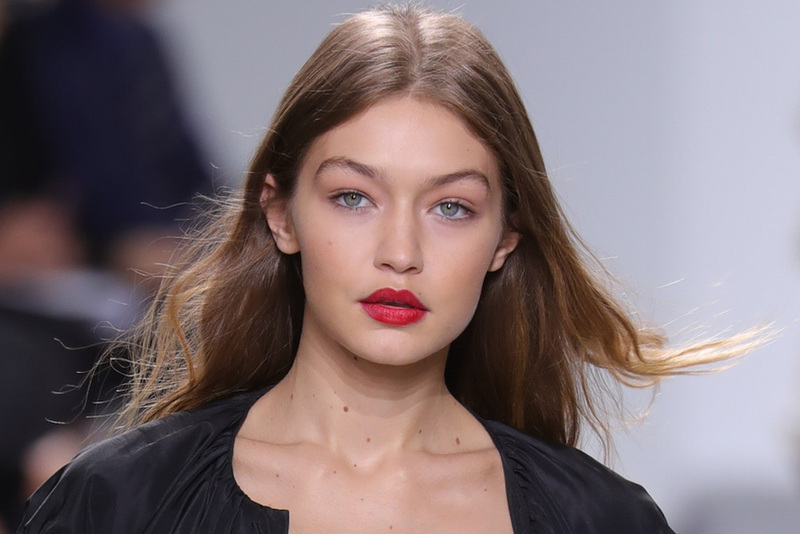 After a very busy week of modeling at Paris Fashion Week, Gigi Hadid was spotted on the streets of Paris dressed like the full-on glammed up version of Beetlejuice that only Hadid could embody, and we are 100% here for it. 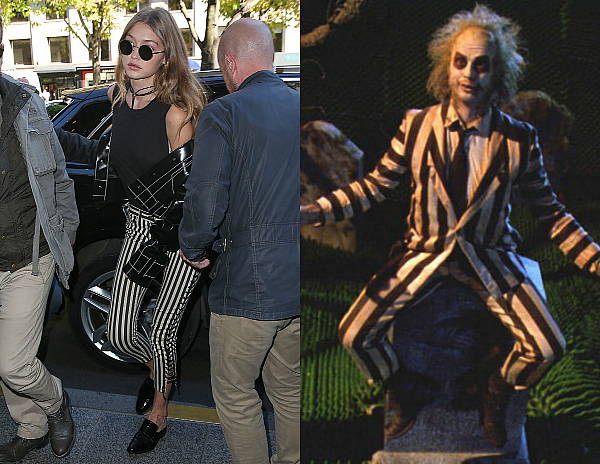 Her black and white striped Beetlejuice pants paired with shiny black flats gave off a campy Halloween-chic vibe that is absolutely killer. Gigi’s sunglasses only amp up the Beetlejuice vibes, replacing the aesthetics of his signature black eyes with a fashion-forward (and less painful) alternative. Pierre Suu / Getty Images / Warner Bros. 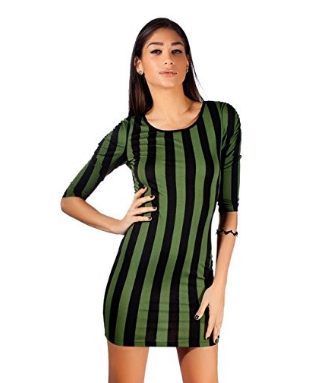 Considering that Halloween is around the bend, and mixing and matching styles transcends season, we decided to round up a few Beetlejuice-inspired shopping options for those brave enough to haunt that look! 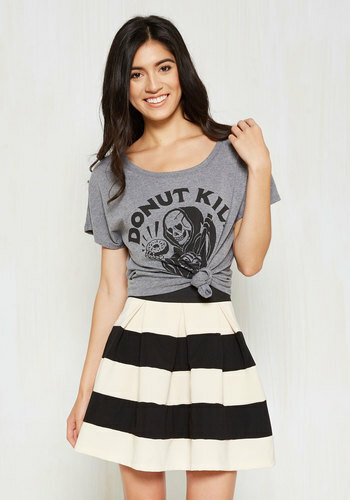 Hopefully these shopping options will empower you to embrace the spooky-chic Beetlejuice living inside of you!